Japanese automaker Lexus have been flashing about a pair of hybrid electric bicycles ever since last years Tokyo Motor Show as part of their sponsorship of the Great British Bike Ride. According to Lexus, the bike's frame is constructed of carbon fiber and it uses an eight-speed internal gear system sourced from Shimano. 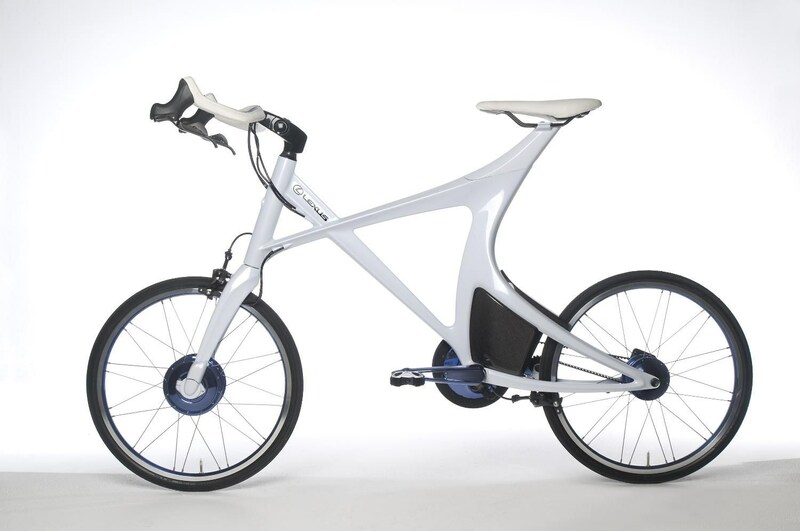 There are no plans to put the bike into production because what automaker in their right mind would see fit to actually promote cycling as a valid means of transport!?! That is a superb bike. Shame they won't produce. Matt, My thoughts exactly. But I'm afraid I wouldn't be able to afford it even if they did put it into production. What they need to do is make it foldable so it can be taken on trains or put into a vehicle.